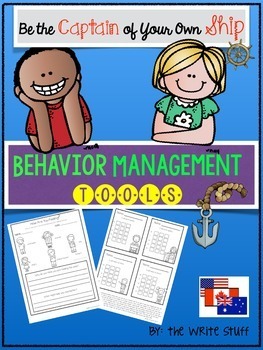 Check out this behavior management tools pack. This pack is packed with INFORMATION on student behavior motivators and different kinds of reinforcement STRATEGIES that you can use to handle even the most difficult child. 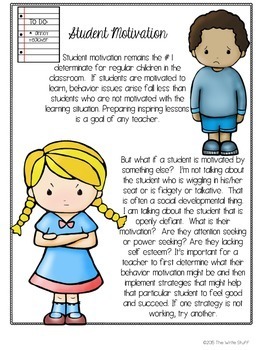 Most misbehavior has a motivation - once you have identified that, you can try different strategies until you find the one that is right for that individual child. All children want to be successful. 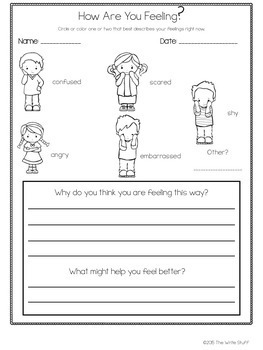 * Behavior reflection sheets (2) for students to reflect on things that happen and how they can make better choices next time. This classroom management set has USA/CANADA/AUSTRALIA friendly spelling.